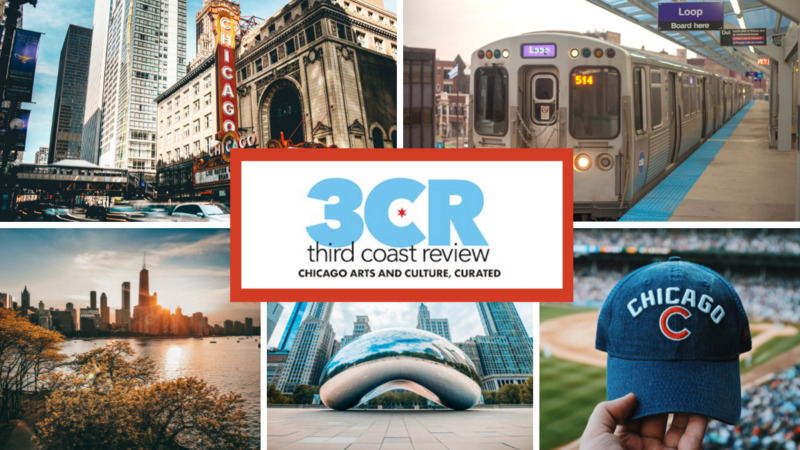 From Chicago-based director Kyle Henry (Fourplay) and screenwriter Carlos Treviño comes Rogers Park, a relationship drama about the two couples living in the northside Chicago neighborhood over the course of several months. The fact that both couples are interracial and that it’s never brought up is as much the point of the film as it is of the diverse neighborhood where it is set. More important and to the point is that this particular year is a rough one for all four characters—one of change, shifting attitudes, and raw self-confessions that leave them very different people at the end of our time with them. One of the couples—real estate broker Zeke (Antoine McKay) and preschool teacher Grace (Sara Sevigny)—is married and has been for some time, which means they know each other almost too well, and many of the defining ways they used to be intimate have fallen by the wayside. They are good at faking it in front of others and with each other, but at points in the story, they get drunk/stoned and begin to admit the shortcomings of their union. The other couple consists of Grace’s brother Chris (Jonny Mars) and his longtime girlfriend Deena (Christine Horn), who is growing tired of Chris’s inability to not start trouble in social settings. Both Chris and Grace had issues with their abusive, recently deceased father and chose different paths toward dealing with them, paths that have put them at odds (and practically brought them to blows) for a while. But Rogers Park is not a film about assigning blame, which is ironic because the characters spend a great deal of time blaming each other for what is wrong in their lives. Zeke is not only bad with money but he hides it from Grace until their financial well-being is in crisis; Deena is sleeping with a very nice man, which would normally be okay in their “open” relationship, except she hasn’t actually told Chris about it. While you might not be going through these exact crises in your own life, the scenarios feel achingly familiar, as do the manner in which the couples deal or don’t deal with them. What goes unspoken with these couples says as much about them as what comes out when they talk and argue. These are not soap opera-ish or rom-com types of discussions; this is the stuff of real life, and it’s clear that the screenplay was worked on and molded until it reached a certain level of authenticity. Henry and Treviño recognize that denial and not talking about issues does as much damage as constant verbal battling. The fact that Chris actually attempts to take control of his anger early in the film by seeing a therapist and becomes a better person as a result almost deserves a “Hallelujah!” at the end of the movie, if only because it’s one of the few examples of someone is being honest with someone else. And that’s not a criticism of the film; it’s just one of the painful truths it points out. The highest compliment I could pay Rogers Park is twofold: the characters are so well written and acted that I’d like to know what’s going on in their lives in five years. I’m not asking for a sequel (although I’d certainly watch one); I just want to know. The other praise goes to director Henry, who instantly goes on my list of people whose next movie I can’t wait to see. He adds a subtle atmosphere of constriction and claustrophobia to his work that makes these exchanges just a little more uncomfortable when they need to be. There are scenes where I almost want to look away because it feels too real, like we’re spying on people in their most vulnerable moments, and all I could think was “I hope nobody sees me like this.” Intimacy and believability are tough things to capture in a film of any size budget, but Henry and his actors do a masterful job of both. The film is screening at the Gene Siskel Film Center on Friday, Feb. 23 at 8pm; Saturday, Feb. 24 at 3pm; Monday, Feb. 26 at 7:45pm; and Wednesday, Feb. 28 at 8pm. Director Kyle Henry and screenwriter Carlos Treviño are scheduled to appear for audience discussion at all screenings. Cast member Sara Sevigny will also be present on Feb 23 and Feb. 26, and cast member Antoine McKay will be there on Feb 26.